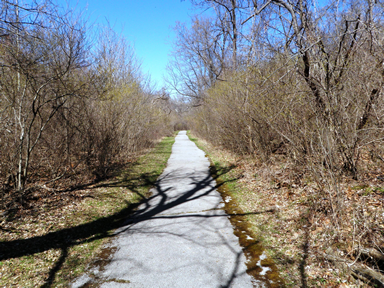 The Western Greenway Trail at Babler State Park – Phase I consisted of final design, permitting, plans and specifications for the first phase Great Rivers Greenway Districts Western Greenway through Babler State Park. The new multi-use trail consists of two new pedestrian bridges over creeks, two boardwalks, four retaining walls, four plazas, and approximately 6500 feet of concrete trail. 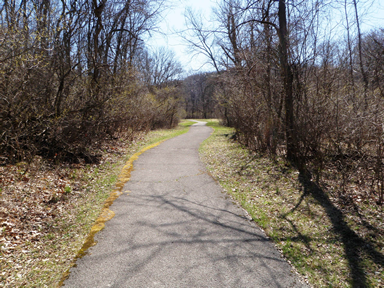 An important aspect in the design of the trail was to retain the natural landscape and plant life within Babler State Park. 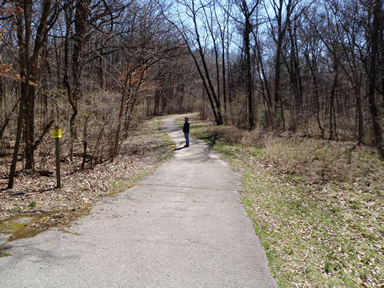 Representatives from the Department of Natural Resources, Missouri Department of Conservation, United States Fish and Wildlife Service, and the City of Wildwood Parks Department were included on the design considerations when selecting the trail alignment to determine what best fit everyone’s needs. As part of the design phase, I&L developed construction documents, cost estimates and acquired necessary permits. During permitting, the design team worked closely with DNR’s State Historic Preservation Office. 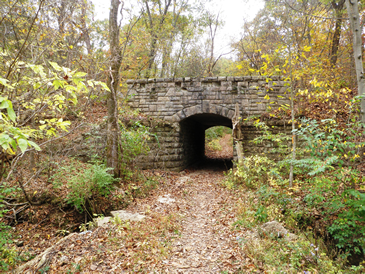 Due to the existence of several known historical sites in the park, a cultural resource survey was performed along the proposed trail alignment that identified several previously unknown historical sites and resulted in minor trail relocations. This project was a continuation of the trail master planning effort and the subsequent alignment study performed by the design team led by Intuition & Logic and including Loomis Associates.